There are no Short Cuts to a Trust Administration. If you’ve never been appointed the trustee of a California estate, you might believe the trust administration process is either easy or unnecessary. A distribution trust, or a trust that transfers assets to beneficiaries upon the death of the person who made the trust may seem straightforward. Many people mistakenly believe that a trustee’s duties begin and end at simply distributing assets. Trusts are not self-executing, though you can certainly make quick work of paying one oout. As a Trustee, your First Duty is to Act in the Best Interests of the Beneficiaries. You want to be sure the beneficiaries receive what they are eligible for without unnecessary conflict. The good news? Done correctly, is that putting the interests of the beneficiaries first will free you from future liability. The bad news is that a trust administration takes a while. A successful trust administration takes at least seven months if there is no estate tax. With estate tax, the process takes no less than nine months and averages between eighteen. You will probably find that major details in the decedent’s trust have been left open. In regards to this you will need to negotiate creditors’ claims, complete transfers, and possibly use existing assets in the estate to pay off other assets in the estate such as remaining mortgage payments. As to the trust, the language may prove to be an obstacle unto itself. Terms are rarely straightforward or easily executed. Crucial details may be vague. Even in the case of an estate planning with a very direct trust, you may want to consult with an attorney about a trust administration to protect yourself and any beneficiaries from misunderstandings. 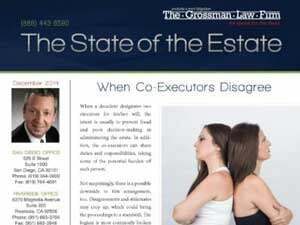 Are you a trustee or executor with questions about the administration of an estate? 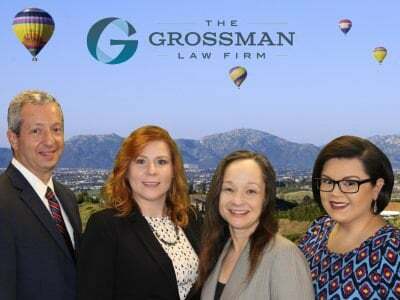 The San Diego probate attorneys with The Grossman Law Firm serve California probate and trust administration, estate planning, will contests, and trust litigation clients in San Diego and outlying areas. For a free, 30-minute consultation with one of our team, call 888-443-6590, or contact us through the online form. 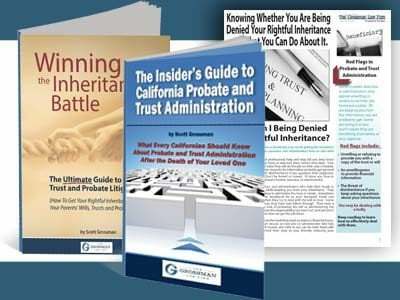 Also, be sure to order your FREE copy of Scott Grossman’s essential guide for trustees, The Insider’s Guide to California Probate and Trust Administration.